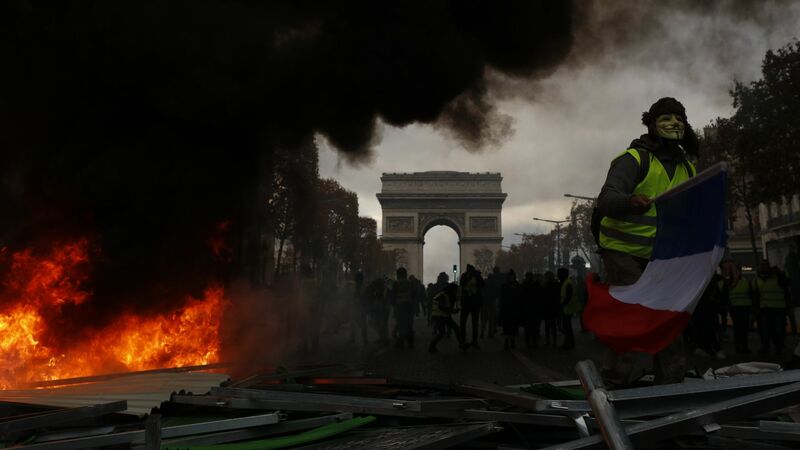 After three weeks of demonstrations against an increase in gasoline taxes, French President Emmanuel Macron yielded to the Yellow Vest protesters by suspending the hikes for six months. The big picture: The wealthy countries pushing to address climate change have been seen as best equipped to bear the costs of transitioning from fossil fuels to renewables, hence their commitment in the Paris Accord to channel energy transition funding to the developing world. But the French protests and Macron’s response suggest that even developed societies may meet resistance from their more disadvantaged members, who may not be so willing to make sacrifices to their way of life. Macron’s response reveals that developed countries’ governments, democracies as they are, may be especially vulnerable to widespread dissatisfaction. Polish President Andrzej Duda bluntly expressed that sentiment at the opening of COP24 in Katowice, Poland, this week. On the eve of Poland’s Miners’ Day, he underscored coal’s role as a strategic and indispensable resource for the Polish economy, pointing to 200 years of coal reserves that not only serve the country’s energy-security goals but also provide jobs to 100,000 Poles. Duda is acutely aware of the political consequences of potential anti-coal action, given the 101 (out of 460) parliamentary seats in the country's coal region that politicians need to compete for every four years. Yes, but: While such resistance is admittedly discouraging in the face of dire climate-change warnings, it does not spell doom. Rather, it highlights the need to understand the mindset of billions of people all over the world whose economic situation makes it difficult for them to justify immediate costs to their well-being, or to forego advancement, in exchange for the diffuse future benefits of climate action, however important. The bottom line: If those sentiments are not factored into developed countries’ climate-policy equations, they may find themselves in a situation akin to that of President Macron, unable to follow up on their climate commitments.